Montrant 8 de 8 bateaux disponibles pour la location à Costa de la luz pour la période désirée. Costa de la Luz, also known as the coast of light, is a holiday destination that offers an array of beaches, several hidden coves, natural parks, well-established resorts and a variety of holiday activities. Holiday activities in Costa de la Luz include cruises and sailing trips on yachts and sailboats available for charter, spending quality time on the beaches in the area, adventurous activities such as hiking, surfing and relaxation activities such as golf. The area of Costa de la Luz is divided into the Huelva region which extends from the Guadalquivir River towards the Portuguese border. The Cadiz province is the other part of the coast of light and is adorned with cliffs and coves. 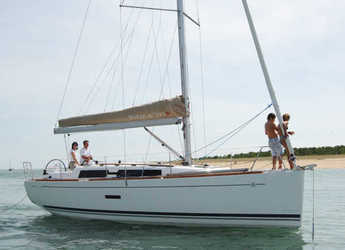 These numerous coves in Cadiz province can be explored on an excursion on a chartered sailboat. 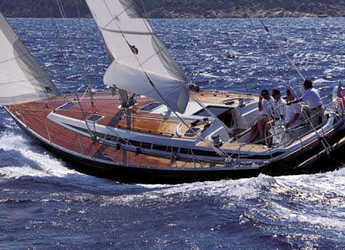 Yacht charters are also available for tourists who plan to spend time sailing on the Mediterranean. There are several well-established golf courses in Costa de la Luz. Golf enthusiasts planning to holiday in Costa de la Luz can look forward to the golf experience which is part of the holiday appeal of the area. Costa de la Luz is also known for natural reserves such as Doñana National Park which is close to Bajo de Guía Beach. Costa de la Luz is also known for the horse fair and Cadiz Carnival. 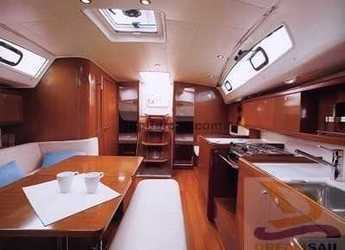 When holidaying in Bajo de Guía Beach, tourists can combine cruises on yachts with the Cadiz Carnival. 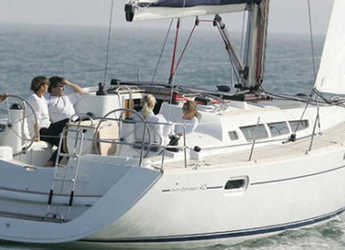 There are several yacht charters in Costa de la Luz. Costa de la Luz has numerous marina; this has been sailing and yachting a major part of the holiday activities in the region. Cadiz, one of the two provinces of Costa de la Luz is adorned with cliffs and numerous hidden coves. A boat trip exploring these coves is part of the holiday activities tourists get to enjoy while holidaying in Costa de la Luz. Boat rentals are available for tourists who have included a boat trip or excursion as part of their holiday activities. The winds of Costa de la Luz makes it perfect for windsurfing. 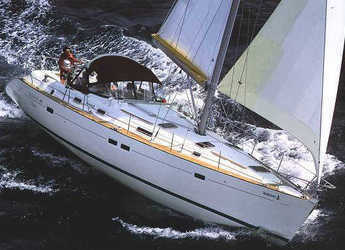 Adventurous tourists Cavan combine windsurfing and other watersports with sailing on the Mediterranean. Yacht charters are also available for tourists who hope to cruise to specific locations or tour Costa de la Luz as part of their holiday itinerary. Beaches such as Los Lances, Bolonia, de la Plata, Punta Paloma, Torre de la Peña and Valdevaqueros are ideal for underwater fishing. Yacht rentals in Costa de la Luz provide facilities for enthusiasts of watersports and tourists looking to spend time on the sea. Costa de la Luz enjoys a warm climate most of the year and encourages tourists at all times of the year.